Edinburgh: Setting the Scene… Mark is getting married to Jo, that means a Stag Night. Woohoo! But these days, a couple of pints and a slap on the back on the night before the wedding simply isn’t enough. A number of us had already been on Stags together to Magaluf, Dublin and, um, Worthing. So, Edinburgh seemed to be the next place on the list (Amsterdam was out of bounds and, whilst Cardiff is cool, I once lived there). 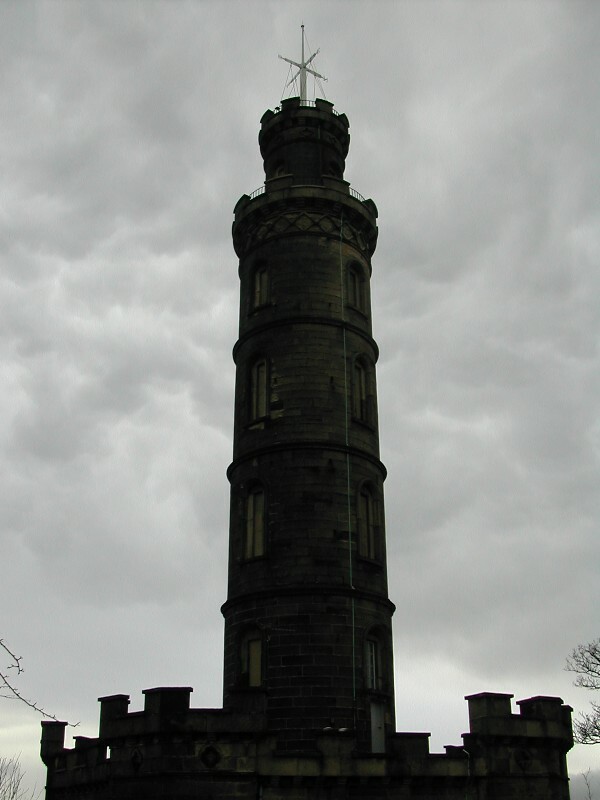 I flew up to Edinburgh on the day before the rest of the group, firstly to meet up with Jason, one of my travel buddies from Australia and secondly, to have a look around the city before the rest of the rabble arrived from Gatwick. Thanks to Dave Pinder for organising the weekend. 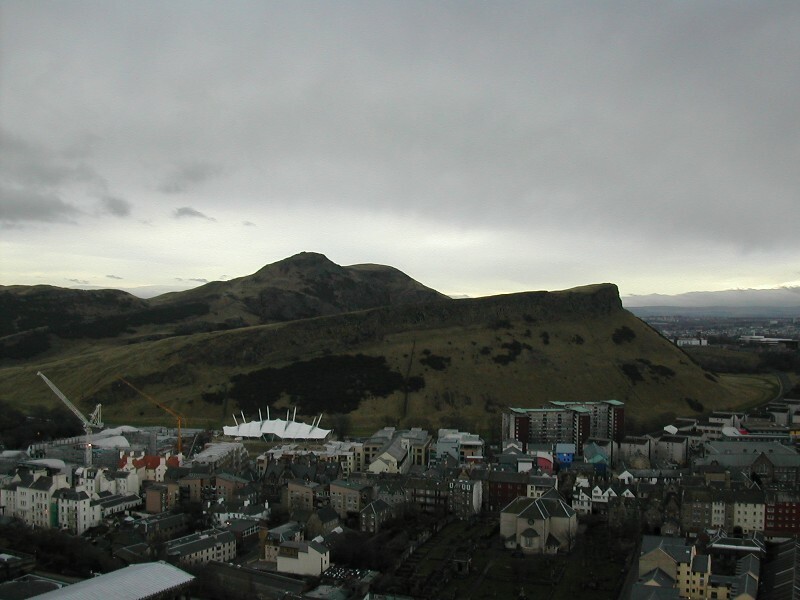 Edinburgh Castle, built on Castle Rock, one of three volcanic outcrops overlooking Edinburgh city centre. I didn’t bother going into the castle as I wasn’t too interested (having done my dissertation on castles!?!). As I understand it, the best time to go is just before 1pm to witness the cannon being fired. I was content to take a wander in the drizzle around the base of the outcrop and head into the Old Town. …(huff, puff, mutter, stupid narrow door, etc.) Aha, Arthur’s Seat, Holyrood Park. It had become an obsession of mine to get a decent photo of this (almost) unspoilt outcrop. Despite the weather, the ugly church and some kind of Millennium Dome look-a-like, here it is. With the naked eye I could see people standing on the peak, something I would have liked to have done myself, thus completing an Edinburgh sized Three Peaks Challenge. However, it was lunchtime, my leg was giving me grief (only downhill, which made descending the tower more difficult than ascending!) and the rest of the group would be arriving soon. Maybe next time. This is more interesting. 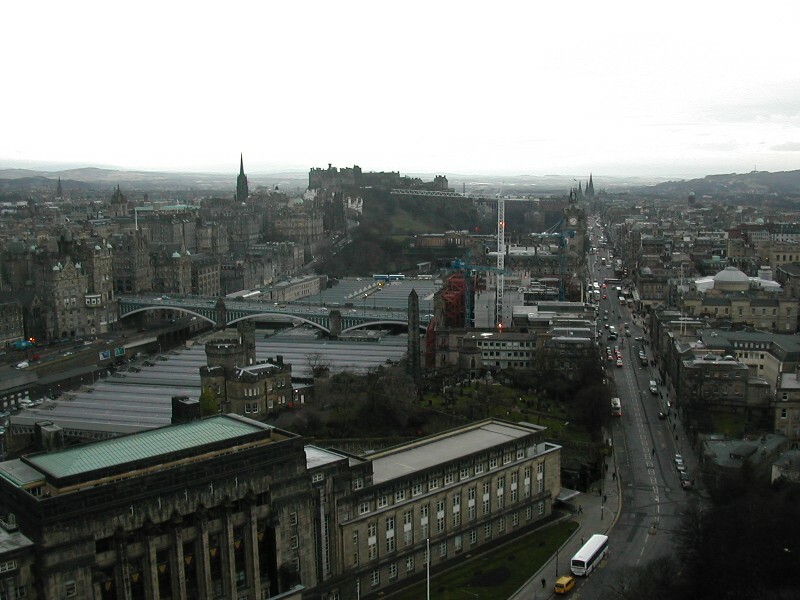 Princes Street on the right with shops on the right hand side and (mostly) park on the left. 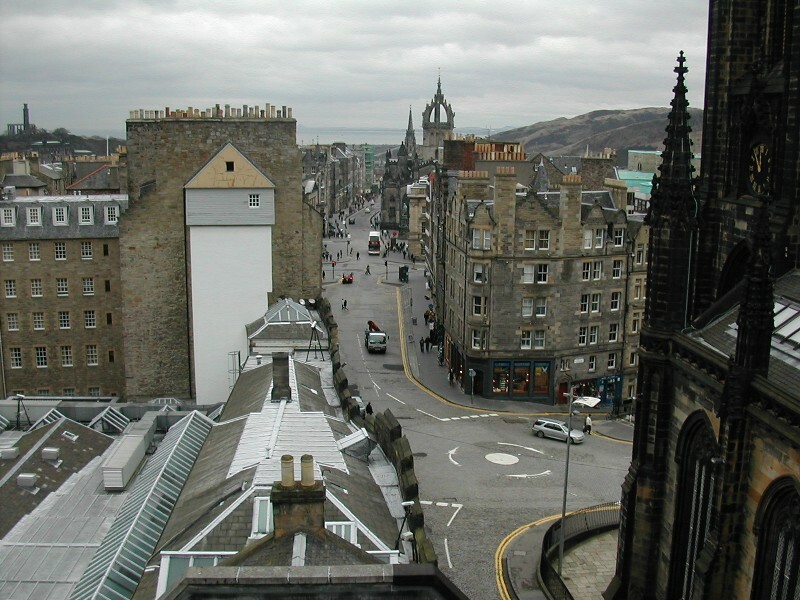 The castle in the distance (halfway between the castle and the spire to its left is a small turret with white walls and a dark grey roof – Camera Obscura), the unsightly railway station in the ‘valley’ between the old and new parts of town and a considerable art deco blot on the landscape in the foreground which ruined many views of the city. Shame on you architects!